Once the invoice is ready, the Project Manager needs to communicate it to the customer in order to receive the payment on time. 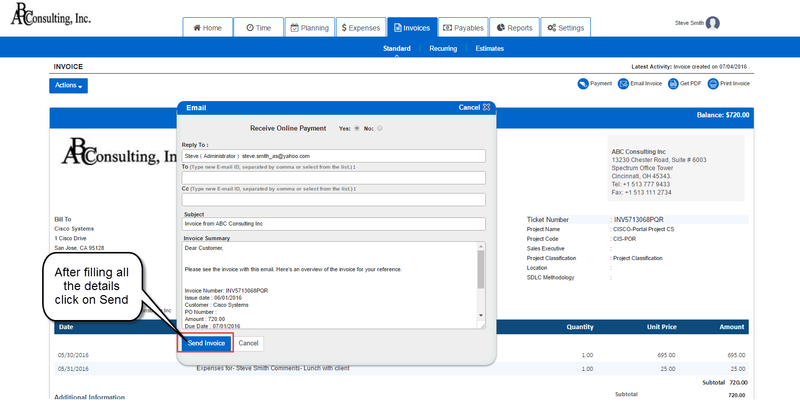 The Project Manager can directly send the invoice to the customer via email and initiate the payment process. 2] Within the Invoices tab, go to the Standard or Recurring sub tab as needed. 3] Click on the Invoice Number of the particular draft invoice that is yet to be invoiced and that you want to send to the customer. 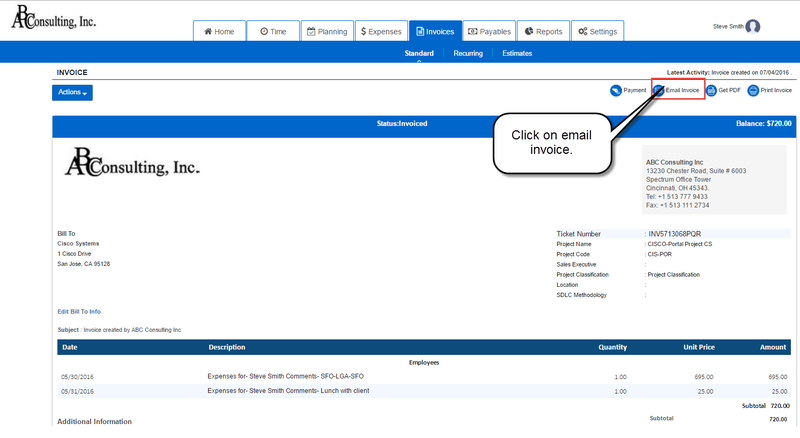 4] Click on the Email Invoice option. An email message box will pop up. 5] Select the accurate recipients and fill in the other details like Subject, Message etc. Click on Send Invoice. An email with the invoice details will be sent to the customer.